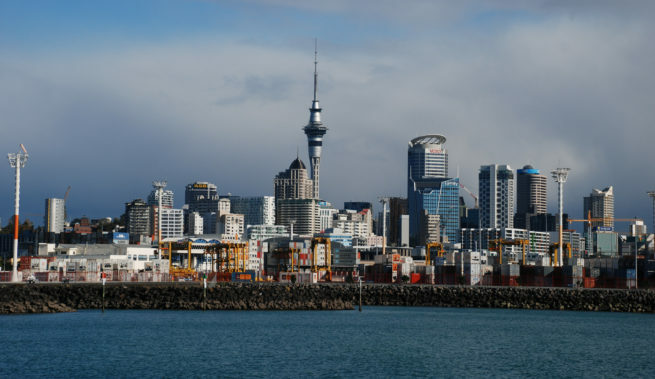 Fly private to Auckland, ranked third most livable city in the world on the Mercer Quality of Living survey, and a cultural hub for food, music, and art in the southwest Pacific. Jet Charter New Zealand is the premier jet charter company for private flights to and from New Zealand. We have access to thousands of aircraft, and can arrange nearly any amenity requested. When working with us, your personal Auckland Jet Charter broker will be available 24 hours a day ad 7 days a week. Our booking process is efficient, hassle-free, and transparent; you’ll get exactly what you expect come flight day. Request a quote now, or give us a call to book your luxury private flight to Auckland, New Zealand. Chartering a private jet to Auckland is the best way in and out of the country. It’s also the best way to find yourself accommodations that boast the most amazing views of anywhere you’ve ever stayed. The area the town occupies is one of the most coveted in New Zealand history; the natives fought over it for centuries. It’s not hard to see why, either. Two harbors, resources to spare, and unmatched natural beauty; it really is a gem of a town. This northern island city is New Zealand’s most populous and -arguably- most important area. The only competition would be Wellington, the country’s capital at the south end of the North Island. This means that jet charter clients will be able to find the typical luxury hotel chains very easily, along with a slew of other boutique options for after your private flight. The local bed and breakfasts tend to gravitate towards the outskirts of town, and the owners are generally friendly and more than willing to offer a bit of insider advice. The contemporary hotels congregate in the city center around the central business district, and are great if you want to enjoy a bit of the city’s nightlife and food scene. If you’re not sure where you want to stay, keep reading. We’ve put together a list of the best places to stay after a private flight to Auckland, New Zealand. 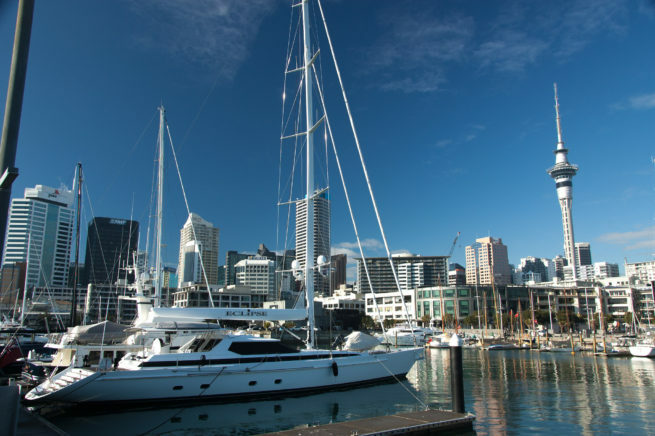 Charter a private flight to Auckland and experience the world’s most outdoorsy city. The area has one of the highest standards of living in the world, and it’s easy to see why. With the natural beauty of New Zealand surrounding it, the area offers a lifestyle that’s much more laid back than other big cities. There’s hiking, surfing, biking, and tons of other outdoors activities in the area. It also has bars and gourmet restaurants to spare, and plenty of other nightlife options. It’s got all the bells and whistles, but it doesn’t necessarily show them off. Whatever reason has you interested in a private jet charter flight to Auckland, the best way in and out is working with our New Zealand Jet Charter team. With its two large harbors, gorgeous weather, and awe-inspiring landscapes, it’s no wonder why the Ngāti-Whātu fought over this place for centuries. The city changed hands many times, and eventually became what it is today. It’s a very well-developed city, but the focus is definitely not on commercial activities; it’s all about the nature life. New Zealand is one of the most beautiful places on the planet; as demonstrated by the plethora of movies shot their every year. This means that the locals are much more into outdoors activities than just about any other major city in the world. You would be, too, if some of the planet’s most gorgeous sites were right in your backyard. Kayaking, golf, hiking, and sailing are some of the most popular leisure activities in the area, and rugby is the country’s major sport. You can find all of these things, including rugby games, within half an hour of the central business district. Some of the best outdoors activities in the city can be found at the Waitakere Ranges, an expanse of scenic hills just west of the city. Whatever you decide to do after your charter flight tom New Zealand, you’re sure to have a great time. However, if you’re hoping to fatten up your itinerary a bit, keep on reading. Our private jet charter team has compiled a list of the best attractions for after a private charter flight to Auckland, New Zealand. The main commercial thoroughfare in the city, Queen Street offers upscale and boutique shops peddling everything from clothes to art and apparel. New Zealand Jet Charter utilizes the following airports to fly clients privately to/from Auckland, New Zealand and neighboring areas. Request a Quote or give us a call at 1-888-987-5387 to speak with one of our Auckland Private Jet Charter agents for your next luxury vacation, business trip, or special event.